It's that time of year where all my favourite Danish brands are presenting their new releases at the European fairs. As always, &Tradition has a sublime line up of new products that I'm excited to share with you. 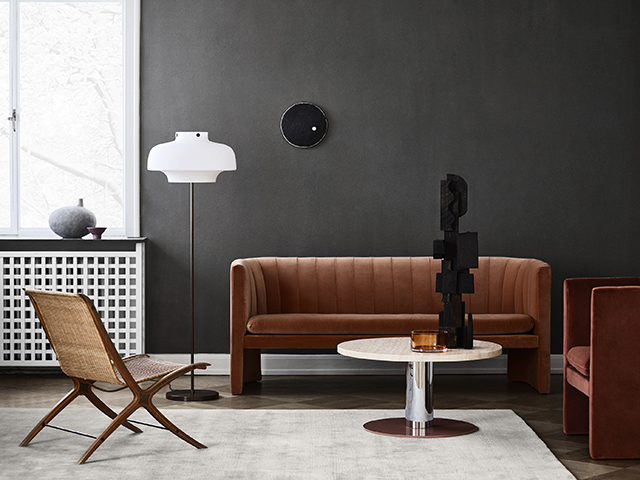 First up is one of my favourites, the Loafer chair by Space Copenhagen. 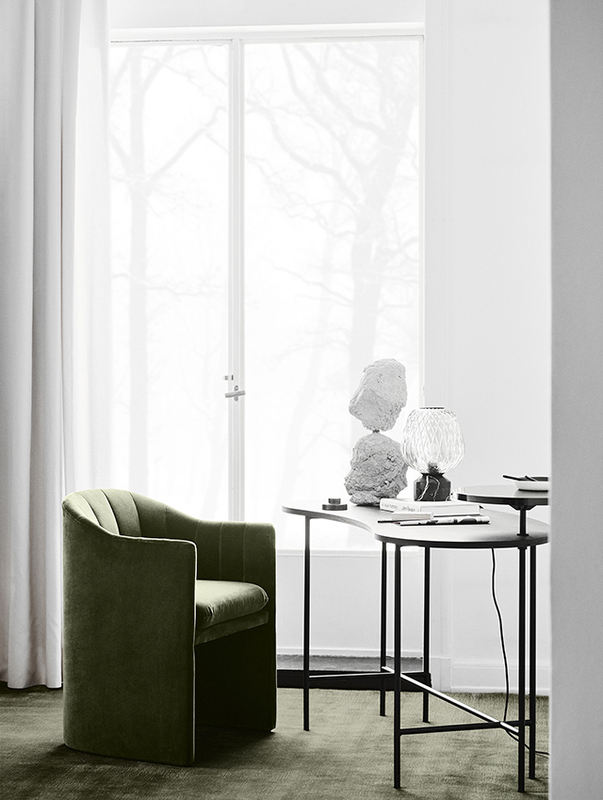 A lighter, narrower version of it predecessor, the SC23 version, the Loafer chair is crafted with a higher seat for dining and gently sloping sides to comfortably accommodate the arms. The fully upholstered chair is soft yet sturdy and is fine-tuned for upscale eating environments and private homes alike. 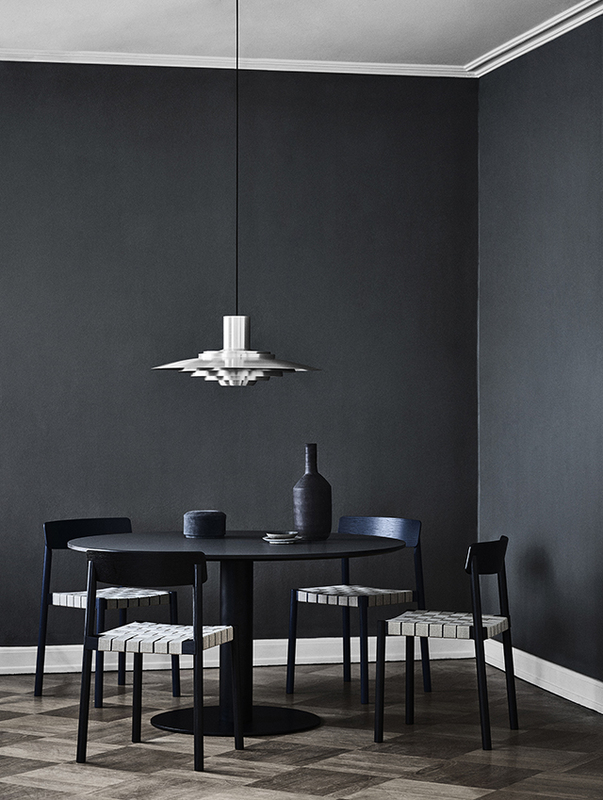 A sculptural statement in a contemporary silhouette that echoes architecture, the quietly classic P376 pendant by Kastholm & Fabricius is relaunched for the new collection. Jørgen Kastholm & Preben Juhl Fabricius were Danish architects whose work influenced the signature style of Danish Modernism. 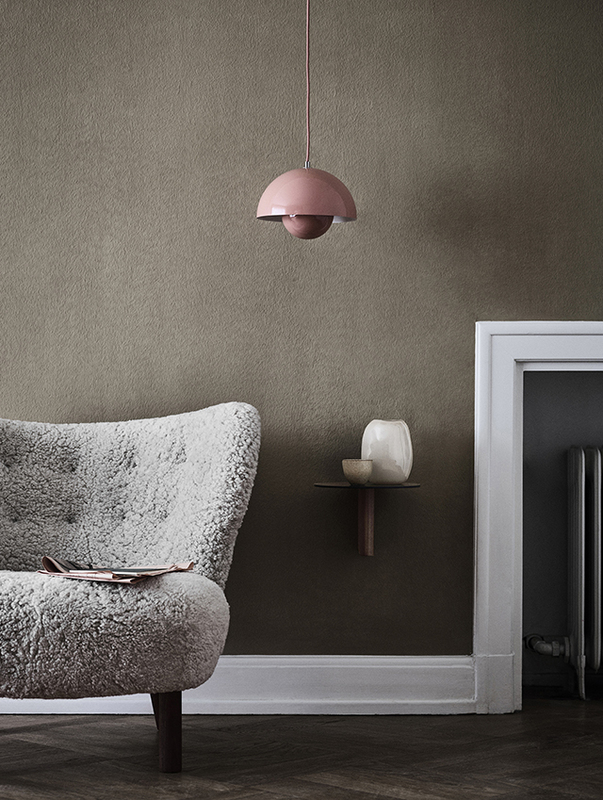 &Tradition's relaunch of the P376 pendant lamp honours their original design from 1963. 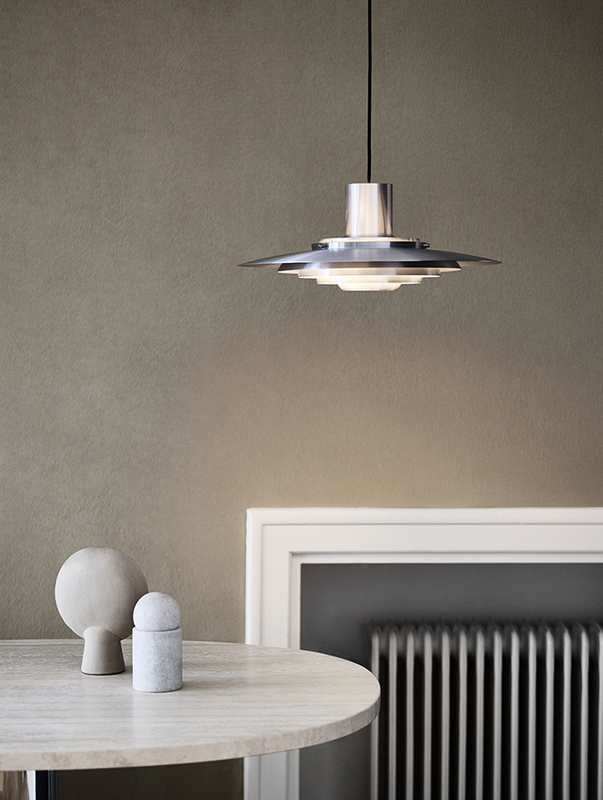 Comprising five concentric shades which gently curve towards the centre to emit a soft, diffused light, the lamp is available in either aluminium or white lacquered aluminium and in two sizes. Designers Sami Kallio and Jakob Thau have created Betty, a chair that champions a design element usually concealed; the supportive seat webbing. Crafted using natural linen fibres, I love how the webbing contrasts with the wooden frame, which comes in three colours: black, twilight and maroon. the webbing is designed to envelop the body for maximum comfort, while the Betty's single-piece wooden frame is deceptively lightweight yet inherently stable. 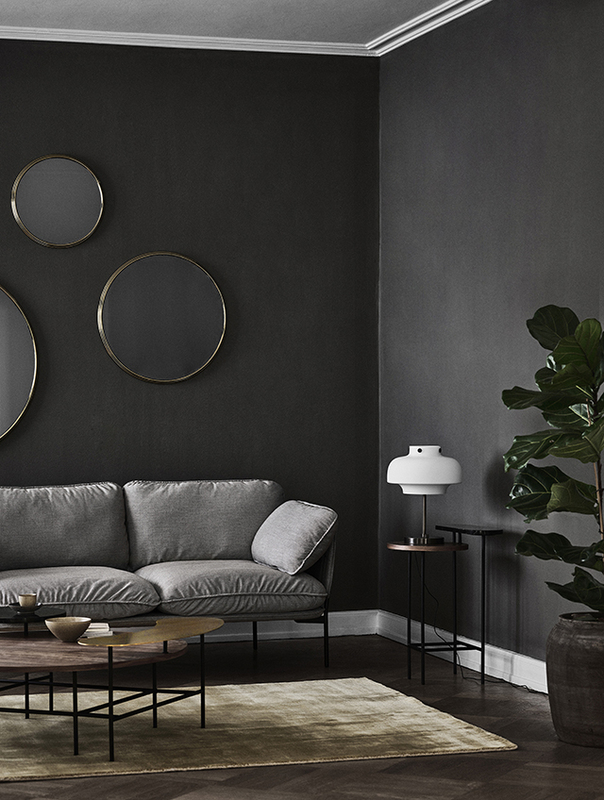 Designed by Sebastian Herkner for &Tradition, the new Sillon mirror is sleek and sophisticated. Named after the French word for 'groove,' Sillon's furrowed frame is inspired by the Art Deco movement and comes in a choice of brass or chrome. Available in three sizes, the mirrors can be hung separately or in a cluster, as shown below. Another stand out for me in this new collection is the the Blown table lamp. 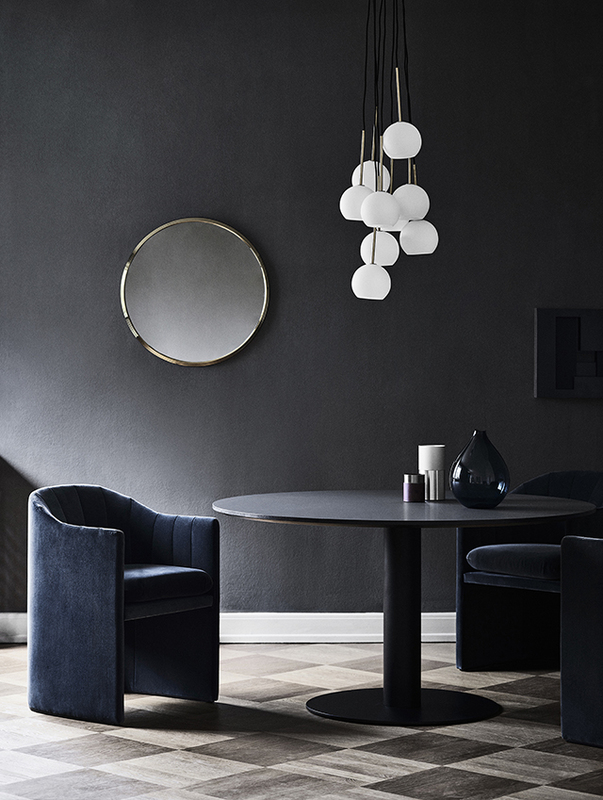 An addition to the Blown pendant series by the same designer, Samuel Wilkinson, the design is crafted from translucent silver-hued glass set on a Nero Marquina marble base with a dimmer switch to adjust the light. I just love how the distinctive quilted surface of the Blown table lamp reflects and refracts the light to create an intimate, almost artistic expression. 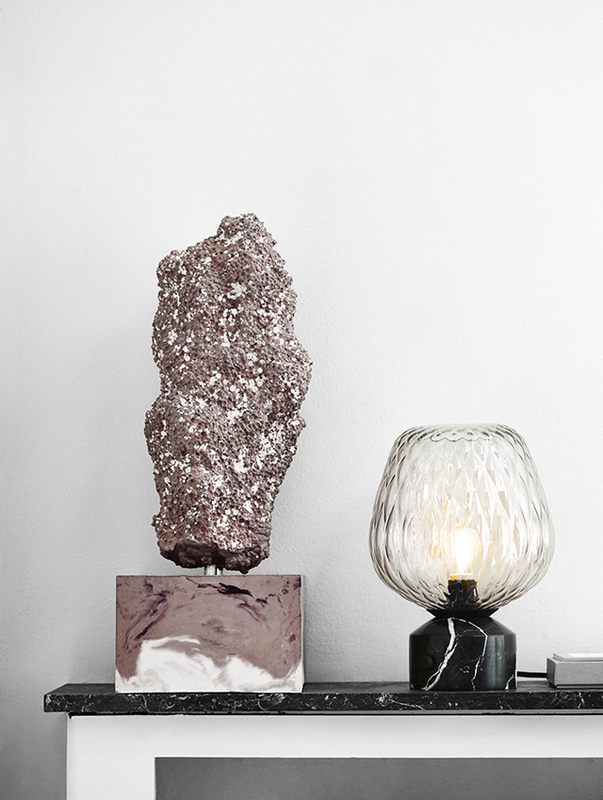 Ideal on a bedside table, a desk or windowsill, it illuminates any space to striking effect. 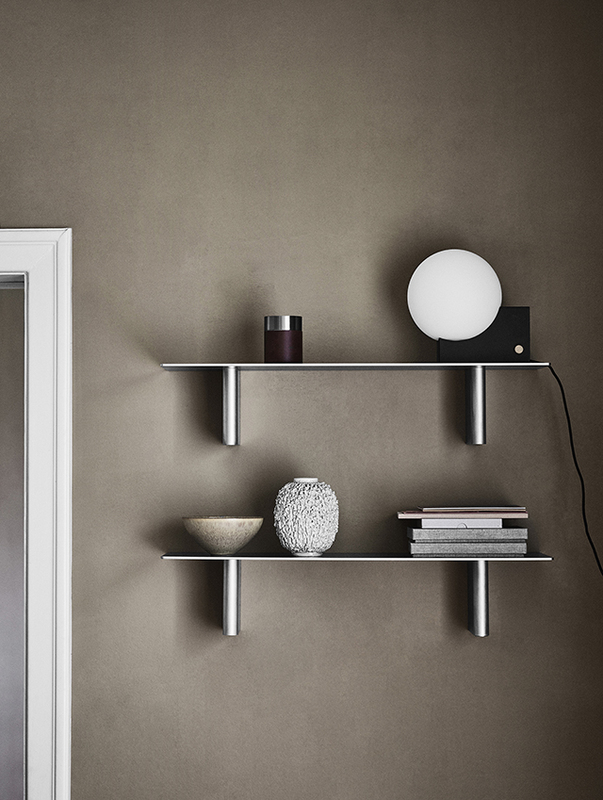 Playing with proportions, surface textures and materials, British designer John Astbury has created the Column shelf. 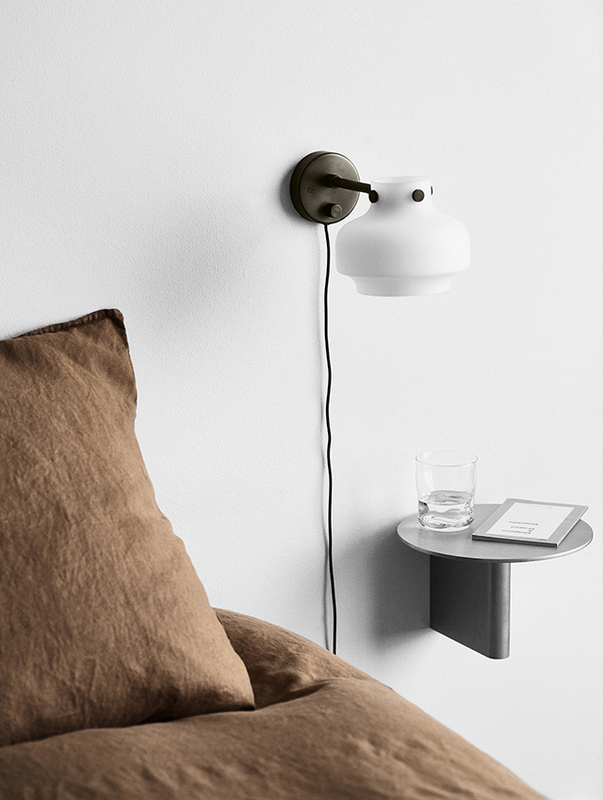 Comprising two different shapes - one is a long, gently rounded rectangular shelf, the other a smaller, rounded shelf - they can be paired at varying heights and configurations, or placed on their own as a side table. 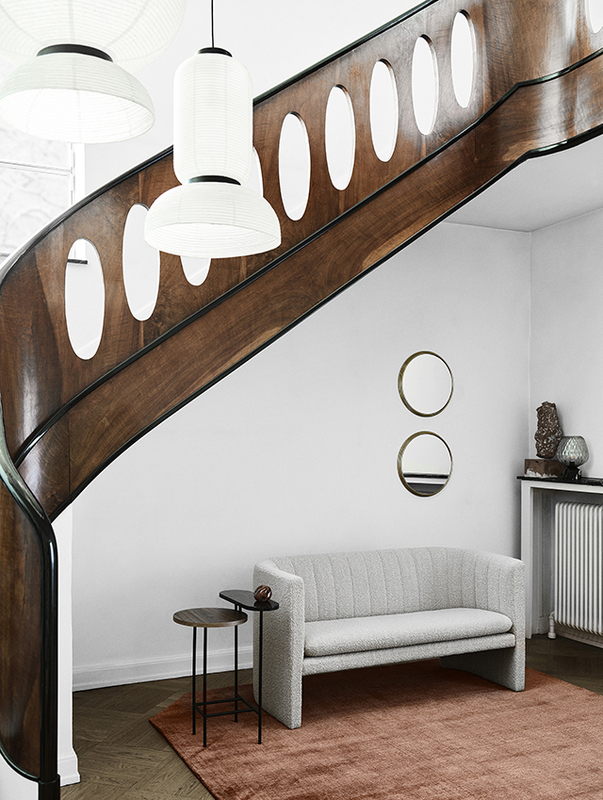 Available in various finishes including waxed aluminium or black anodised aluminium with oiled walnut, Column brings new meaning to the idiom, "There's a place for everything and everything in its place". I think this makes the perfect minimal bedside solution! 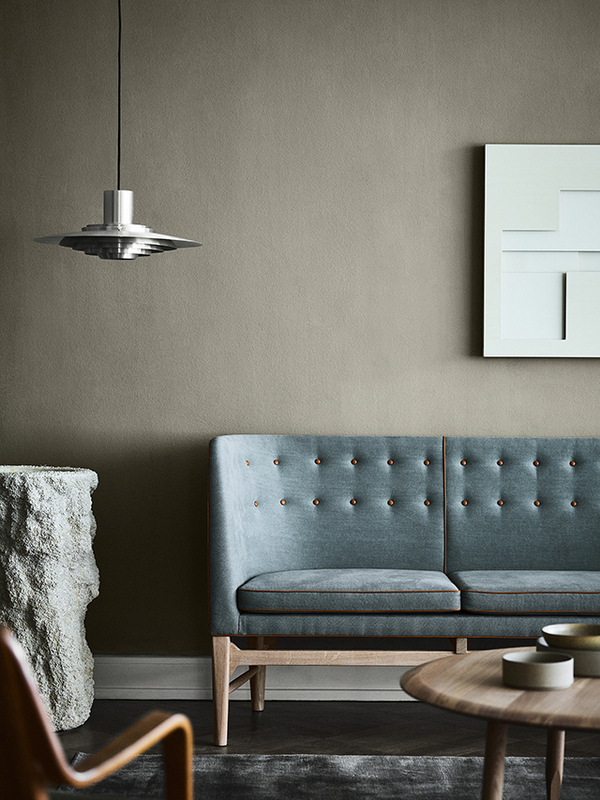 With the Loafer being one of my favourite designs, I am very happy to see introduction of the Loafer sofa for 2019. Perfectly proportioned in two and three-seater versions, the Loafer sofa offers the utmost in comfort, expertly crafted to ensure a solid construction, plush upholstery and detailed stitching. 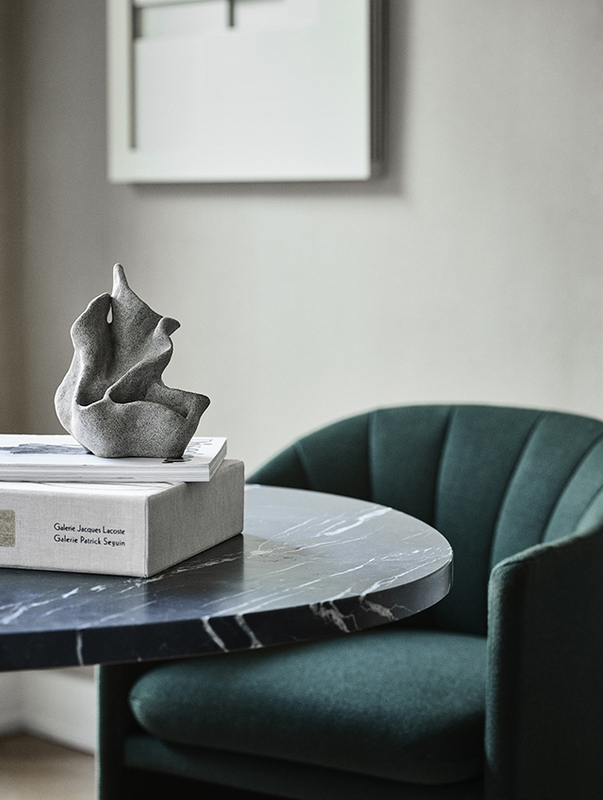 Available in a range of textiles and colours, the jewel-toned hues go hand in hand with the elegant and refined silhouette. I also love the soft grey textured finish. 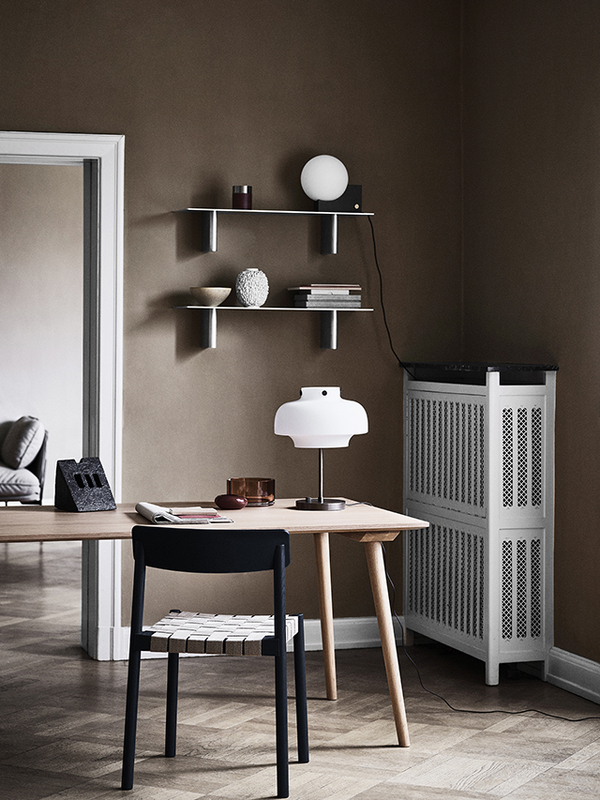 The new collection will next be presented at the Stockholm Furniture & Light Fair 5th - 9th of February. More information can be found online at andtradition.com. Thanks for sharing. Koramangla has emerged as probably the most hotspot locations of Bangalore up to now couple of years. It has not solely housed many purchasing facilities, malls, enterprise homes and famend training establishments, corporations but in addition trendy and medium price range homes and flats.